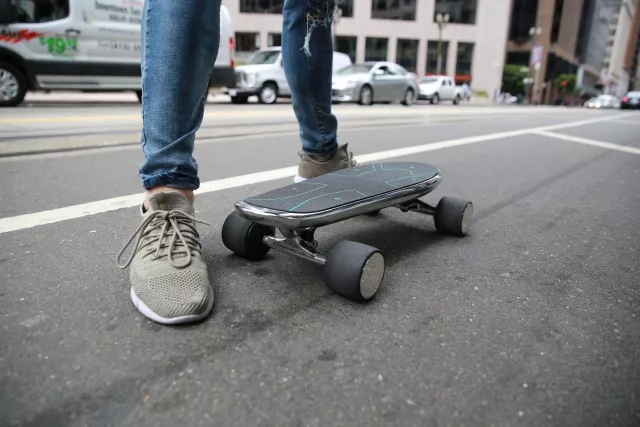 WALNUTT HONORED WITH CES 2019 INNOVATION AWARDS – Walnut Tech. 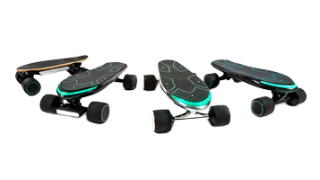 Consumer Electronics Show (CES) 2019 is recognizing WALNUT Technology for groundbreaking innovations in Drones/Robotics category– led by Best of Innovation wins for SPECTRA Silver, the strongest and smartest electric skateboard. CES Innovation Awards are evaluated by a distinguished panel of industrial designers, engineers and members of the tech media who will judge submissions on a variety of criteria, which are based on the product’s industrial design, appearance, function, consumer appeal and market competitiveness. This means a special acknowledgement for SPECTRA Silver that received CES Innovation Awards, the official industry recognition for the most innovative products introduced at the annual consumer electronics show known as CES®. WALNUTT SPECTRA Silver will be displayed at the Innovation Awards Showcase, as well as at WALNUTT’s booth, at CES 2019, which runs Jan. 8-11, 2019, in Las Vegas, Nevada. 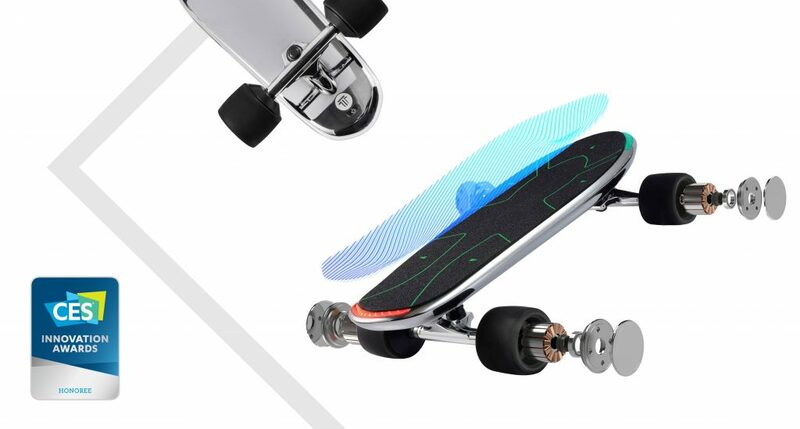 SPECTRA Silver, launched in CES 2017, is the only e-skateboard equipped with 4 hub motors in SPECTRA series. The body of the SPECTRA Silver mold features an Apple-level magnesium unibody. Speed is up to 35 km/h, battery life ranges to 25km, SPECTRA Silver is the most powerful and elegant SPECTRA model. Where are my 2 Silvers?!?!?!? Upon communicating with our R&D department, the shipment time has been set. This is the final one. We will arrange shipment for Silver to our oversea warehouse at the end of this month. Any info on the delivery? Can you please care about a bit more on delivering the product to your customers, and after that start cheering yourself for something that for nobody is even real? I am still waiting for the delivery of my silver spectra (ordered there is 2 years and half). Isn’t this almost a thief? Last May, I bought a board for my birthday. I’ve been doing some crowdfunding. I don’t have anything more than two months old, but it’s too much to do. Look at the official homepage. X on Silver? There’s another new version. Are you really impostor like the one above? I’ve been waiting with faith and now I’m confused. I don’t know whether I was swindled or out of trouble. You know this isn’t supposed to happen, right? It’s also a problem to spend countless hours. It takes exactly how long. I want you to let me know. Hey, guys! I can’t remove my comment. I got refund emails today so ignore this comment.